Professor Onwuka joined the Department of Economics in Fall 2018. His research has focused on the creation and application of deep learning or machine learning algorithms to interpret and analyze large datasets using programming languages including, but not limited to, Phyton, R, and SQL. In addition to being an emerging analytical thought leader, Professor Onwuka is an experienced energy consultant. As an energy consultant, Professor Onwuka’s professional work has focused on the economic analysis of large-scale energy projects, energy procurement, regulatory frameworks of Regional Transmission Organizations, and energy tariff design. He supports clients with project economic development through comprehensive modeling, economic and financial analysis, which includes long-term power forecast, sensitivity forecasting, and cost/benefit analysis. 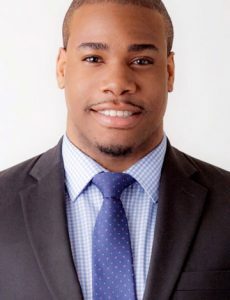 He received his MS in Applied Analytics from Columbia University and BA in Economics from Rutgers University–Camden. Page last updated by Department of Economics at 10:01 am August 24, 2018 . This page was printed from http://economics.camden.rutgers.edu/faculty/damian-onwuka/ at 10:46 PM Thursday, April 25, 2019.